Below are two dreams about "Star Wars" sent to the IIDR. The first dream transparently demonstrates the effects of the media on people's dreams and imagination, while the second, much like "Star Wars" itself, is darker and has more opaque thoughts, perceptions and personifications. 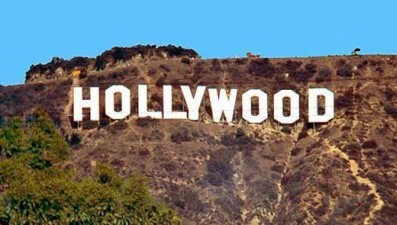 Both dreams show how the media helps Western political, religious and economic mores colonize the Western subconscious. Media imperialism is a critical concept that attempts to understand and recognize the effects of global media. It is also closely related to ideas about cultural imperialism. For more, see Edward Said's "Culture and Imperialism". The influences of American media imperialism can be found in other dreams at the IIDR website. Mark, this is my dream... I've had this dream several times throughout my childhood. We are at my house and there is a big flood. I am by sliding glass door when all of a sudden a war breaks out in my backyard. All sorts of creatures and aliens start fighting in my backyard. I remember seeing the black guy from Star Wars and other movie monsters. I remember asking my mom if I could go out and fight too but she wouldn't let me. What does this mean? I had the strangest dream this morning as I was struggling with the effects of the caffeine in my cocoa. John and I were in this place which had the tiniest of doors leading to the outside...only one of us could fit through it at a time. I don't know how we'd gotten all of our stuff into the house, but our stuff was in there. We were ready to move to wherever we were going, but couldn't get any of our stuff out the tiny front door. There was a large door, however, leading to a hallway which connected to another place. So we put all of our stuff in there, and tried to get to the other place, but there were no handles on the door to the other place. So we decided to go outside the tiny door to see if there was another door outside which led to the other place. There was a door, and I knocked on it. When I went inside that door, there was a small dark entryway and another door. I knocked on that door and it opened. What I saw was this grossly overweight man (and I'll use that term loosely) clad only in his underwear, "lying" on a sofa, his huge feet and legs up in the air. He was stuffing his face, and the greasy food was sliding out the sides of his mouth. He was worse than Jabba the Hut from "Star Wars." Yuck. Anyway, we (John was behind me) told him that we needed to get our stuff out of the back hallway. He got this disgusting smile on his face which I interpreted as saying that he's pretending he doesn't have the foggiest idea what we're talking about and is lying through his teeth at the same time. John started getting a little steamed and was about to speak, when I held his arm and pointed to the man behind a curtain...he appeared to be this gross pig's crony. "Jabba" ogled me and demanded a kiss. I thought I was going to vomit. The food was still dropping out of his mouth as he spoke...grease....all I could see was how greasy it was. John stiffened up as the man presented us with our alternatives: no kiss, no stuff. He tried to sit up from the sofa, but even with a little rocking, he couldn't. The man behind the curtain made a full appearance...he had a knife which he pointed at me and then towards Jabba...indicating he wanted me to do as ordered. The tip of the knife was suddenly at my neck, and so I walked towards the ghastly ugliness. The smell was awful...old sweat, grease, nasty food...revolting. The knife was still at my neck...so I bent down and pecked his cheek. The man gave a loud chortle, as more food came out of his mouth. I started running in the direction I thought I needed to go to get out, and heard the ugly laughter of Jabba. Somehow, John and I managed to get out of the building, and were running in the direction we thought we'd parked our car. In the cloudy distance, we saw a Taurus (the color of the one John first had when in South Carolina), and people were pulling off the tires and taking out the seats! I told John we had to leave --- don't worry about any of the stuff -- we had to go - NOW! We turned around, and started heading away from everything. John looked at me and asked me if I was okay about leaving our things behind. I felt the emptiness of having everything gone --- all of our worldly possessions were no longer ours --- but, I nodded my head up and down, and told him, "They are just things. Somehow, we'll survive....but, we have to keep moving." ... and then the alarm went off. When I was fully awake, I could still feel and smell the disgustingness of "Jabba" --- and I still felt the emptiness. It was so strange!!! I am glad you didn't have to see the grossness and smell the stench. The last installment of the "Star Wars" (video trailer) saga has hit movie screens the franchise is on DVD and will most likely induce more dreams to be played out on communal dreamscreens. 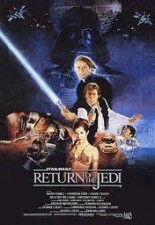 This film is the darkest of all six and focuses on the transformation of Anakin Skywalker into Darth Vader. Searching in Webster's dictionary, one finds that "father" derives from the Middle English word "fader." It is no stretch of the imagination to see the connection between fader and Vader. "Stars Wars" (video trailer) can be viewed as a mythical family drama where the literary archetypal father-child conflict of good vs. evil is the dominant narrative message and theme. 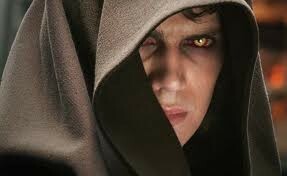 Nightmares play a central role in Episode III, Revenge of the Sith(video trailer). The background for these nightmares can be traced to previous episodes. The term space opera was evidently coined by Wilson Tucker in 1941 and was applied to action adventure science fiction stories of interplanetary and/or interstellar conflict. Having their Hollywood forerunners in such films and characters as Buck Rogers and Flash Gordon, the sagas such as "Star Wars" and "Star Trek" have fueled the collective imagination of the inhabitants of planet earth for the last 30 to 40 years. Since its debut in 1977, "Star Wars" the cosmic morality tale has been playing on the Western communal dreamscreen. The mythological research of Joseph Campbell, movie Westerns, World War II movies and science fiction were among the literary and filmic elements Lucas used. Lucas has shown that the literary archetypes of ancient mythology still operate in our collective unconscious (dreams). And although some view the saga as a painful father-son conflict as being more of a soap/space opera than Greek/Freudian oedipal tragic myth or a reenactment of biblical themes, all these interpretations can serve as a vehicle to recognize and understand those archetypes. Joseph Campbell "The Hero with a Thousand Masks" states that "It is the business of mythology proper, and of the fairy tale, to reveal the specific dangers and techniques of the dark interior way from tragedy to comedy. Hence the incidents are fantastic and 'unreal': they represent psychological, not physical, triumphs." "Star Wars" is a tragic family romance story wherein the main character, Anakin Skywalker, searches for transcendence and redemption in a manner akin to the hero of Dante's Divine Comedy. Campbell asserts that Dante's Dream Vision "is the basic outline of the universal mythological formula of the adventure of the hero." True to the classic hero quest such as Parcival's search for the Grail, Luke Skywalker in "Star Wars: A New Hope" (see video trailer) learns from the archetypal wise old man Obi Wan Kenobi the ways of the Force and becomes a Jedi knight. The plot and the pro- and antagonistic characters which populate Star Wars are the stuff fairy tales are made of. Robin Wood Hollywood from Vietnam to Reagan sees the family fairy tale projected into a future SF narrative structure of Star Wars whose patriarchal politics/oedipal complex drives the narrative, plot and the character's trajectories. For Wood, the Death Star created for the dominant dreams of the Empire and the "dark side" of the Force is the fantasy embodiment of nuclear power used by fascistic forces that attempt to destroy the American nuclear family (and the American Dream). In fairy tale fashion, Luke, with a little help from his friends, saves Princess Leia (later revealed as his twin sister) and destroys the Death Star. While at the end of Episode IV the forces of democracy have won a significant battle, the Armageddon-like war is far from over. The landscape of "The Empire Strikes Back" (view trailer) shifts to various space opera venues where the heroic freedom fighters battle with the forces of the dark side and the galactic Empire. Darth Vader, in "The Empire Strikes Back", reveals himself to Luke as his father and thereby thickens the film's dark moral complexity. The rebel forces of democracy finally triumph in "Return of the Jedi" (video trailer with Jabba who is in your dream) with an unmasked and redeemed Vader receiving a Viking style funeral in the finale (view video), which completes the family journey cycle and myth. The war is over and peace and balance of the Force are restored. The prequels "The Phantom Menace" (view trailer) and "Attack of the Clones" (view trailer) are weaker cinematic works and serve only to drive us towards what we all have been waiting for, for 28 years, namely the transformation of Anakin Skywalker into Darth Vader. Evidently following Lucifer's transformation into Satan, Lucas creates a tragic character in Episode 3 of biblical proportions. The volcanic planet (near the end of Episode 3) serves as a metaphoric landscape similar to Lucifer's fall into a horrific prison of fire without light. As with Lucifer, the character of Anakin is driven by the Western archetypal theme of the rejected rightful heir. Vader is made of much the same stuff as the pitiful Satan in Milton's "Paradise Lost", who was "God's most beautiful angel" and who, when thrown into the pit of hell stated that "it is better to rule in hell than serve in heaven." As with Milton's Lucifer, Anakin is a tragic romantic character whose fall from grace is caused by his own betrayals of love. The plot of Episode 3 is primarily driven and induced by Anakin's prophetic nightmares of the traumatic loss of his beloved Senator/Princess Amidala. Anakin's fear of history repeating itself (as in his nightmare of helplessness to save his mother from death in Episode 2) allows him to be seduced by the false promises of the immortalizing powers of the dark side of the force. Anakin's deal with the devil ironically leads to the death of Princess Amidala thereby following the ancient Greek literary formula of a prophecy of tragedy coming true. In classic Greek tragic conception of the hero, it turns out that Anakin was the cause of this tragedy and thereby the prophecy has become self-fulfilling. His unwillingness to see that his dreams are warnings of his own dark side speaks to Vader's blind tragic fatalism (namely being the author of his beloved's destruction) and his offspring's need for redemption which rings throughout this morality tale. The commercial success of the "Star Wars" franchise has not only had psychological and economic effects, it has at the same time influenced the development of artificial intelligence and military planning. Reportedly the box office sales from the first 5 episodes totaled $3.4 billion US; the merchandizing sales are almost 9 billion dollars. The fact that the sale of toys and merchandise is greater than ticket sales provides a clue, attesting to the ongoing Western consumer fantasy and enduring generational archetypal theme of good vs. evil induced in children. The toys used for play will stimulate, create and dominate children's daydreams, collective imaginations and nightmares, ensuring the Dante-ian and Shakespearian survival in the next generation of future psychological wars, heroes and enemies. Eric Erikson's "Toys and Reasons: Stages in the Ritualization of Experience" provides further psychological understanding of your dream.